Not this full moon, and not moonrise the day after full, when it’s already dark when the moon is coming up. But one of my favorite moon photos. On the evening after the full moon, as dark settles fully in, I’m settled in, too: sunk deep in the cushions of the reading chair, reading, with feet under a throw and a glass of wine at my elbow. Doug, on the couch, stirs, gets up, announces he’s going into the hot tub. I nod but don’t move; I’ve reached a stage of life in which a hot soak before bed leads to an uncomfortable night. Besides, I’m feeling lazy. That’s enough to get me up, to at least admire the moonrise through the window. And it is nice—gorgeous in fact. Turning my back on it to return to the chair seems ungracious. So, while Doug strips, I put on coat, hat, and gloves. It’s a pleasant night but “pleasant” when you’re 8900 feet up in the Colorado Rockies in April is a relative term. Outside, a higher-than-usual hint of humidity chills the air and gives the moon’s glow a faint sepia tint. The light is warmer and more golden than the platinum glitter of a dry mid-winter’s night. There’s plenty of light for walking—enough, in fact, that my shadow leans in front of me like a dog straining at the leash. Just over the crest of the hill leading down to the barn, there’s a line of shadow thrown by the ridge. I step out of the moonlight, but the sheen across the sky’s dome offers ample illumination, and I keep up my full-paced walk. I don’t emerge out of the shadow until I’m out on the straightaway beyond the pasture gates. Turning to walk backward for a few steps, I admire the moon’s ambered disk shining through the black silhouettes of the pines along the top of the ridge. I stop, move forward a few steps to re-enter the shadow zone, and walk backward again, watching the moon rise out of the trees. I turn and rejoin my shadow on our walk. The familiar landscape is filtered by dark, with each rank of hills progressively dimmed by distance. My feet are confident on the familiar road, but my eyes are looking across the frontier of their limits. I sense colors but cannot detect them. The details my mind provides are, I suspect, filled in by day-lighted memories. Following the road downhill on my usual walking route, I reach the tree where Doug and I traditionally turn around when we’re out for a stroll, but I keep walking; the night is fine, and I have my eye on another line where the polish of moonlight on the ground is cast into shadow by a the wide hip of the land. I pace into the gloom of that moonless realm, turn around, and walk the moon up again. That’s two moonrises tonight, I think to myself…or three? Or does the first one, over the horizon count if I wasn’t watching? In any event, not bad for one night. Returning home with the moon in my eyes, I catch up to the ridge-shadow below the house, which has shortened considerably. As I pass into its shade, the moon sinks into the black bristles of the pines. I stop, step back a few paces, and lift it up again. What fun, I think. I could do this all night. But of course I can’t. The walk has been welcome, but I’m ready to put my feet up again. My wineglass is waiting. The angle of the moon’s light as it glides toward lunar noon is erasing the margins of shadow thrown by folds in the landscape. The boundaries of more-light and less-dark I’ve been playing in are vanishing as the moon lifts itself out of my reach. There’s a distinct pleasure in being able to make someone else happy. Sometimes their pleasure persists even as your own memories of the effort involved in said happy-making fade, tipping the scales of your satisfaction even further toward the positive. In the spring of 2018, almost a year ago now, I was getting started on a project that’s still making the horses happy: stringing fence around some acreage we had long planned to use as a winter pasture. As with most improvement projects hereabouts, this was a slow process, starting with hiring a fencing crew. The new pasture occupies part of a flat plateau west of our house, and I suppose it’s a general rule of geography that high ground tends to be high because it’s hard: rocky or otherwise resistant to the patient forces of weathering and erosion that help render low ground low. The fencing guys cheerfully assured us they’d have no problem with the rocky ground, but when they left there were about two dozen T-posts strung out along the “fence” line, evidence that their jackhammering wasn’t all it was cracked up to be. The next summer, we hired our problem-solving fellow, the guy who’s always willing to help us come up with solutions to unusual problems. He spent a couple of days forming up and pouring square concrete bases for the prone posts, getting them upright where they belonged. It was another eight or ten months before I got going on my part, which was stringing the lines to complete the fence. Spring was already arriving by the time I got around the winter pasture, but oh well. I would go out for an hour or two on nice afternoons when the March wind wasn’t howling. By the time I was done I had walked that fence line dozens of times: placing insulators, unspooling cable for each of the three strands, splicing and terminating, connecting and grounding and tensioning. When I let the horses out into their new pasture, it was pretty obvious they were happy, although theirs was a gustatory sort of joy, not high-heeled bucking and running and kicking. I led them up to the now-open gate, stepped through, and invited them to follow. They both threw me an incredulous look—“Really? Out there? ?”—and dropped their heads. Their butts weren’t even beyond the gate opening before they started eating. For the rest of the spring and early summer, they spent most of their days—pretty much any time the wind wasn’t ripping, actually—out there on top of the ridge, noshing on cured bunchgrass that hadn’t been grazed by livestock in a couple of decades. Rather than getting fat, though, the horses got fit. The new pasture is a good half-mile walk from the waterer here near the house. The horses would march purposefully down for a drink five or six times a day, and then head just as decisively back out. When the vet came to administer spring vaccines in April, she had nice things to say about muscle tone, especially with Moondo, who is an older fellow for whom the extra movement is a great benefit. I was a little worried when we closed the gate come summer, afraid the horses would resent being denied their new favorite hangout, but by then the grass had rebounded in their regular pasture, and they seemed content to focus their attentions there. None of which is to say they weren’t conspicuously happy when I re-opened the gate in November. I can’t see in to the new pasture from the house, so when the horses are up there I can’t look at them through binoculars, spying on them from my office as they nap or graze or play together. If I walk out to visit, though, or stop on the road as I’m coming in or going out, it’s hard not to think how content they look. Sometimes I feel dumb about how happy making these two horses happy makes me. Particularly on days when I’ve been sunk in a fog of gloomy news or am pinching my nose hard against the miasma of human pissiness, I know life, and the world, is vastly more complicated. I know there’s at least one angle from which all this looks like avoidance or denial. I could—and feel like I should—try to account for some of the realities of privilege and lifestyle, for the effects of fences and domestic equines on wildlife and native grasslands. But when I see—or even just think about—the horses hanging out, enjoying being in their place, I think, well: maybe it really is that simple. At least once in a while. I know this cusp-of-the-new-year timeframe is a popular time to spotlight favorites and best of’s and top tens from the year about to pass, but I’m in the mood to look forward, not back. 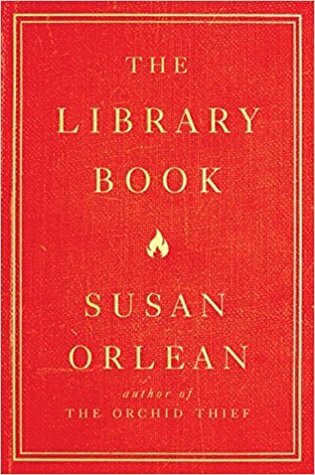 A couple of years ago, I started gathering references to books I wanted to read together in one place, instead of rat-holing sticky notes and review clippings in various piles and cubby-holes where I would find them much later and never when I was in a bookstore or library. It has lately occurred to me that this list of books TO-READ just might be growing faster than my HAVE-READ list, which would seem to be a problem. The obvious remedy is to get more books off the former list and onto the latter one. Rather than being paralyzed whenever I scroll through all those titles, I’ve decided to play favorites in a moment when I’m not looking for something to read, selecting a (hefty) handful of titles to get started with. Twelve seems manageable–more ambitious than ten, while still leaving plenty of room for serendipitous browsing or referrals from friends. Without further ado, then, and in no particular order, here are twelve books I have every intention of reading in 2019. Some are by lesser-known authors, and a few have been out for a while. I’ve tried to give myself some variety, including titles that are relevant to my research, some that just intrigued me, and a few that I’ve been meaning to read for too long. You might find something here to add to your own TO-READ list…unless yours is also getting too long. I’m not going to promise that I’ll get every one of these read , but I’m gonna try. I’ll meet you here around this time next year, and we’ll see how I did. 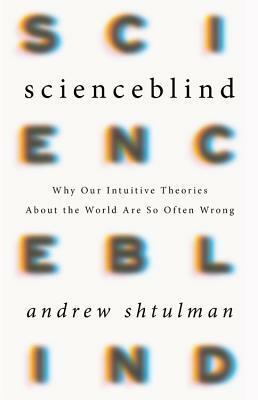 Scienceblind: Why our Intuitive Theories About the World are So Often Wrong, by Andrew Shtulman. Quite possibly a “need-to-read” rather than a “want-to-read,” since this book promises to be highly relevant to my own work-in-progress, which is about scientific literacy. But it also just sounds interesting. 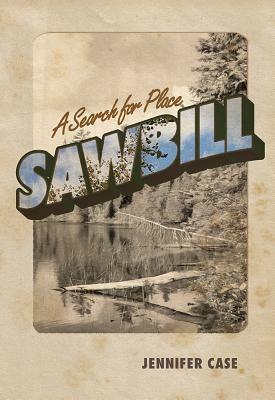 Sawbill: A Search for Place, by Jennifer Case. One of the many advantages of thinking of myself as a writer is being able to justify going to writer’s conferences, where I meet cool and interesting people. Having met Jennifer and from reading some of her shorter essays, I know she’s a keen observer who has done deep thinking about place-based writing. 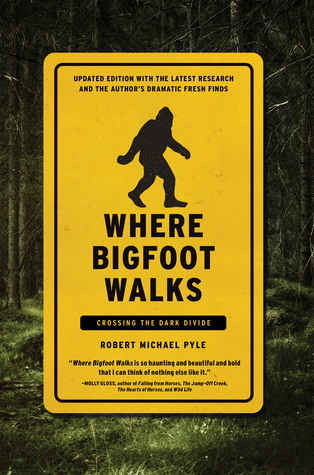 Where Bigfoot Walks: Crossing the Dark Divide, by Robert Micheal Pyle. This one makes the list because the subject matter is exactly what I usually wouldn’t read. Pyle is an erudite and generous writer, though, and I’ve been starting to catch myself up on his books. I got to see him give a reading in Salida, CO in November. It’s hard to fault a naturalist/realist who, in this day and age, can make you laugh while admitting that we all have good reason to cry. 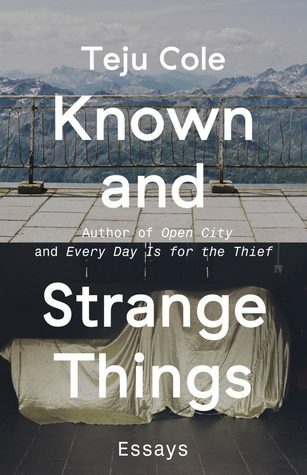 Known and Strange Things: Essays, by Teju Cole. Because: essays, and I love essays. A new writer for me, too, and so maybe the best kind of book. 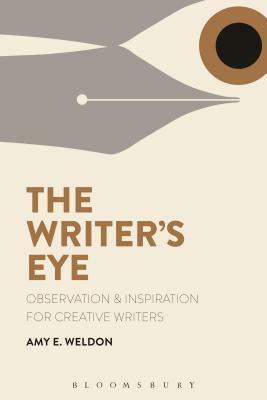 The Writer’s Eye: Observation and Inspiration for Creative Writers, by Amy E. Weldon. I try to read one or two writing craft books a year, to remind myself how much I don’t know. I met Amy at the same conference where I also met Jennifer Case, so I guess this is sort of a theme running through the books I selected to push to the top of my reading list: to catch up on the accomplishments of friends. Besides that, Amy is wicked smart, crazy hard-working, and an insightful commentator on the effects of digital media, a topic that befuddles me almost to the point of paralysis. 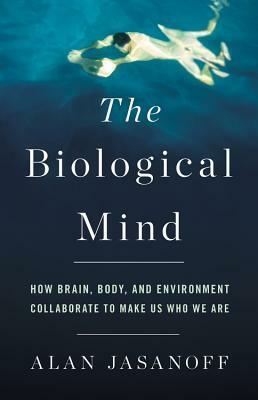 The Biological Mind: How Brain, Body, and Environment Collaborate to Make Us Who We Are, by Alan Jasanoff. Another book that’s likely relevant to my current writing project. I’m intrigued, too, because I’m a bit of a neurology nut, and this one looks like it might cross over to pick up on my place-based writing interests as well. 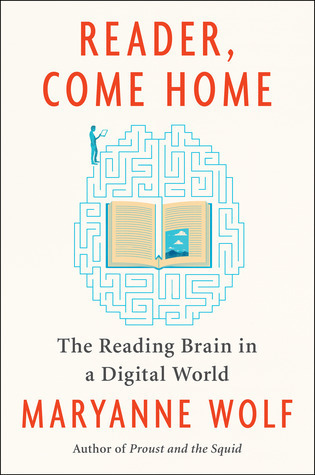 Reader, Come Home: The Reading Brain in a Digital World, by Maryanne Wolf. 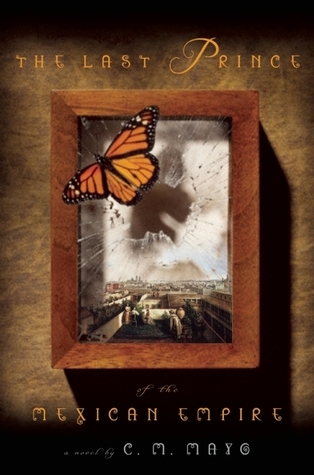 I read Wolf’s Proust and the Squid several years ago, and it might be a tough act to follow, since the earlier book thoroughly altered how I think about writing and reading in this, our computer age. As I said above, the digital universe baffles and befuddles me, even as I wallow around and try to make my way in it. As I also said above, I’m a neurology nut. 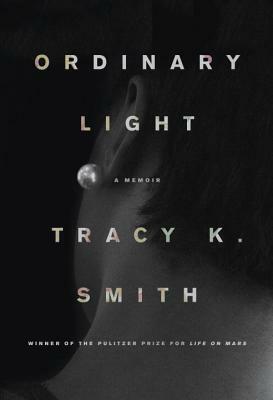 I’ve been thinking I should re-read Proust and the Squid, but will try this new one first. 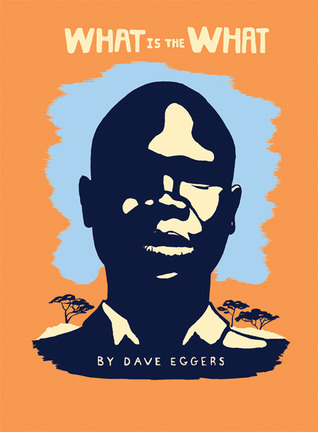 What is the What, by Dave Eggers. I have some fairly entrenched reading habits. This book ventures outside of pretty much all of them. Which may be why I’ve been meaning to read it. I don’t always use the library as often as I should…which might be why that TO-READ list has gotten out of hand. Among other things, I include this one as a reminder to seek out some of the books on this present list at a venerable lending institution near me. Smith said this in an interview I read a couple of years ago: “I think any poem, no matter the topic, is an endeavor to get to whatever sits behind what we think we know or what we have learned to name.” If I could put a lofty label on how I’d like to write, “Endeavoring to get behind what I think I know” would be it. Also, I indexed a book several years ago by Smith’s husband, Raphael Allison, so even though I don’t know Smith, I can claim this funny kind of connection. 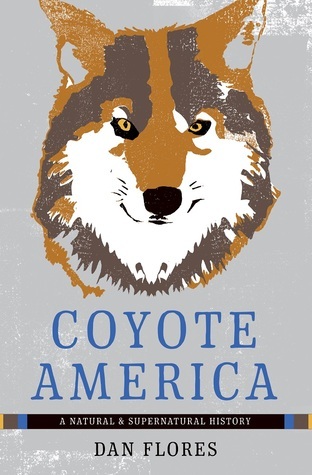 Coyote America: A Natural and Supernatural History, by Dan Flores. I usually read a lot of natural history, so I need something in that vein to round out my target list. I’m seeing coyote tracks in the snow every time I go outside lately, so this seems like an appropriate pick. The Last Prince of the Mexican Empire, by C.M. Mayo. I don’t read a lot of fiction, but I loved Mayo’s travelogue about Baja Mexico, Miraculous Air. She is another scary intelligent and freakishly hardworking writer that I know personally, and it’s possible that I want to read more of her work in hopes that some smarts and diligence will rub off on me. Visit the Madam Mayo blog if you’d like to wander in the company of a brilliant and quirky guide. Having fresh snowfall is a bit like getting a local newspaper delivery: I learn about things going on in the neighborhood I wouldn’t otherwise know. Tracks on the fresh sheet of snow spread across the arena last month were like a headline, albeit one in a script I couldn’t read. But given that the track set appeared to have dropped from the sky—no trail in, no trail out—I knew that the language was avian, not mammalian. On closer examination, I learned that the author was a large bird. The tracks were almost three inches long, with dragging nails that joined one mark to the next like the pen strokes connecting letters in cursive writing. Here and there, dense scribbles tore through the clean sheet of snow to the underlying sand of the arena. I was thinking owl, imagining the hunter dropping down onto an unsuspecting vole or mouse burrowing under the surface of the snow. A niggling protest from the back of my mind pointed out that there weren’t any rodent burrows evident where the bird had been, even though such excavations were obvious elsewhere. I pushed the thought away, along with the obnoxiously reasonable question of why an owl would wander around rather than striking and lifting off. Another set of tracks appeared in front of the house a day or two later. There, too, the visitor left doodles and rummaged down into the snow in spots. The snow’s surface was crusted by then, hard enough to hold up the bird and capture impressions of the knobby joints of its feet. Many of the footprints showed an asymmetry in the alignment of the middle toe. Back in the house, I checked my Peterson Guide to animal tracks. The author, Olaus Murie, concedes that birds merit only “some passing attention” in a guide devoted principally to animals, but the field sketches, complete with the offset middle toe, suggested a raven rather than an owl. I was more than a bit disappointed, and turned to the internet hoping to have my preferred preconception confirmed, but there too the evidence pointed to family Corvidae rather than Strigidae (typical owls) or Tytonidae (barn owls). I learned that owl feet (and hence their tracks) are zygodactyl; that is, comprised of a pair of toes pointing forward and a pair pointing back, although one ostensibly backward-pointing toe tends to jut out to the side. Ravens’ feet are anisodactyl: three toes out front and one to the back. So my tracks were left by ravens. I’m not going to lie. I was disappointed. How cool it had been to think we’d been visited—twice!—under cover of dark by a shadowy silent predator. Rationalizing my dismissiveness, I told myself that I liked the owl storyline better because owls are more rare. Corvus corax, the common raven is…well, common: I see them pretty much every day. This fact alone should have tipped me off that the track sets would almost certainly be left by a raven and not an owl, but such is the nature of bias. We see what we prefer, not what is real, or most likely. I suppose I might have learned something new if the headline written on the arena had indeed announced a visit from an owl, but it’s more likely that, with my theory confirmed, I would have closed the mental book on the topic. As it was, uncertainty held my attention. So, yeah, maybe it’s okay that it wasn’t an owl after all. Postscript: unless you are willing to piddle away a day, don’t start looking for information on Corvids online. Ravens are smart. Crows hold grudges and attend funerals, Clark’s nutcrackers have capacious memory skills, and gray jays will make you rethink the uses of saliva. I promised myself last spring it wouldn’t happen again: the summer, this year, would not spiral out of control. I would manage my time, balance my obligations, ride herd on my expectations. But the summer got away from me. Again. I can never figure out how this happens, can never reconstruct where, exactly, the days go. Weeds take up no small share of my time and energy, of course. Having decided that providing expanded opportunities for native plants in my surroundings is one of the things I do for the good of the world, beating back the aggressions of bindweed, kochia, yellow clover, thistles, cress, prostrate knotweed, and cheatgrass keeps me working away with pulling gloves, string trimmers, shovels, and hoes for hours each week. The garden also requires effort I don’t expend in other parts of the year. Once I committed to planting this summer’s garden, I did my best at due diligence, at least early on. When mice dug up and ate the seeds of the pole beans, I replanted. I replanted again when those seedlings failed to show, and yet again a couple weeks later when there was still no sign of bean leaves unfurling—and then one last time, to fill in gaps. In the long, hot, smoky days of a fierce June, I coddled planting beds with mulch from the worm composter, coaxed tender young plants with sips of compost tea. The hot haze of June was also accompanied by a project related to the rental properties my husband and I own in Cañon City, keeping me hustling with meetings, research, phone calls. As the calendar rolled into July, we had visitors, socialized here and there. I managed to corner a few hours in my office now and again, picking away at sections of the Big Writing Project. A smattering of thunderstorms brought relief from the blazing of both heat and wildfires burning around the region. The monsoon was welcome, but it egged on the weeds and delivered just enough hail to pummel the garden right as it was hitting its stride. While we were hauling hay and splitting wood in August, I didn’t notice that the garden had rebounded from the hail. Things went feral down there, devolving into a free-for-all of pea vines and bolting greens. Volunteer cosmos fountained and tomatillo plants surged, hiding the beets and carrots, and covering for the underperforming pole beans. When I went to harvest carrots in the waning days of September, the objects I uprooted bore no resemblance to the shapely tapers of carrot-inspired imagining. Their purple hue was expected, since my proclivities toward that color in my gardening efforts are unabated, but the spiky masses beneath the luxuriant tops can only be called freaks. I decided, however, that the carrots are perfect emblems of what the summer had become by that point. From orderly hopes set forth in May, the season had morphed into a welded jumble, an overcrowded confusion: gnarly, un-thinned, and chaotic. I’ve been thinking lately that summers at this stage of my life are beginning to resemble those of my school-age youth. Back then, too, the elongated days of summer passed in a flurry. Weather and daylight framed priorities, with each day finding its own urgencies, or lack thereof. Now, as then, outdoor pursuits wrestle indoor matters to the ground, dominating them and pinning them into the forlorn corners of the weeks. In our house, in summer, dust bunnies mature and raise young under the dining room table. Laundry overtops its basket, making a break for the hall. Paperwork accumulates in piles, swamps desks, and laps over our office floors. Then, abruptly, fall takes over, slinging brassy colors and staging the world in spectral light. Darkness gatecrashes earlier each afternoon and lingers later each morning, damping the frenetic spin of extended daylight hours. The weeds retreat, the garden freezes. I no longer dash mindlessly out the door, but pause long enough to see if I need a jacket. These shorter days reverse the spin of my body’s gravity; they slow my outward flinging and bend the currents of my energy, gradually, inward. In the foreground: catmint near the front steps humming with pollinators. In the background: the smoke plume from the High Chateau fire on its first afternoon, June 29. The fear that a bad fire season would be in the offing come summer lurked in the background for months. The prickle of anxiety persisted through the windy days of March and April. It lingered while I planted the garden, and stayed in the back of my mind as the weeds popped up and I started pulling and mowing. In defiance of worry, I bought new perennials for the flower beds near the house. I marveled at the tenacity of the wildflowers that managed to bloom despite the lack of rain. I started trying to photograph the multitudes of pollinating insects that swarmed to those flowers, wondering if their numbers were particularly high or they were merely more concentrated on whatever blossoms were available. As summer officially punched its timecard and started its shift, I thought we might squeak through: perhaps the thunderstorms of summer would arrive before the fires did. Wildfire in the American West is a fantastically complicated subject, both ecologically and culturally. The topic resists simplification; in fact, the simple idea that fire should be excluded from the landscape is now a factor in the severity of many fires. As I thought about composing a new blog post over the past couple of weeks, I resisted the idea of writing about wildfire, even as the topic claimed a growing share of mind day over day. For one thing, I’ve touched on the subject before. For another, writing yet another blog bemoaning lack of precipitation seemed tiresome. Plus, well, geez: fires are such a downer. But I was arguing with myself all the while. If this blog is indeed about life in this part of the Central Rockies, it can’t not be about fire, sometimes. Wildfire is indigenous to ponderosa pine forests, and I live at the edge of a ponderosa pine forest. The more I thought about the realities of wildfire in this setting, the more it seemed a bit odd that I haven’t written more about fire. Smoke from the East Fork Complex, burning about 100 miles southwest of us, in June 2013. Then I realized that I haven’t had much occasion to do so because the last really bad fire season we had was in the summer of 2013, and I started this blog in October of that year. Don’t get me wrong, there have been plenty of fires in the last five years, and fire danger is never far from my mind. But the last time the hazard loomed large enough to take over the collective consciousness of the entire region was 2013. Then as now, fires dominated gossip, overwhelmed news reports, and filled the sky with smoky haze day after day (and then week after week). 2013 was fraught in part because it felt like an extension of the 2012 fire season, which was marked by the Waldo Canyon blaze. We weren’t particularly close to that fire, but the enormous smoke plume would billow over the shoulder of Pikes Peak in the afternoons, dwarfing the mountain and dominating the horizon. The fire would eventually make a run into the west-side neighborhoods of Colorado Springs, sending thousands of residents, including friends, fleeing. By the time it was out, Waldo Canyon had become Colorado’s most destructive wildfire. That record didn’t last, however, falling less than a year later when a fire ripped through the Black Forest community north of Colorado Springs, burning nearly 500 houses. The Black Forest fire started on June 12, 2013. The same day, the Royal Gorge fire ignited, burning between our house and Cañon City, about 16 miles south of here. We were upwind, but I again watched smoke boiling up on the horizon. Meanwhile, in the mountains on the west side of the state, multiple fires merged to form the East Fork complex, burning in high-elevation lodgepole pine forests and sending smoke drifting for hundreds of miles. Dry air holds tension very effectively, I think, and it was difficult not to obsess. As the fires burned, my attention rotated from smoke columns to various media channels, incessantly checking updates, road closures, evacuation notices, weather forecasts. In July, the rains finally began—hair raising at first, as lightning stabbed at tinder dry fuels. But the grass eventually softened and began to turn green again, the dust relented, and the trees began to drink. By September, we’d received enough rain to push our annual precipitation numbers for 2013 well above average. The worry by then was flash flooding across all the burn scars. 2014 was less marked by radical swings from wet to dry. In 2015, a wet weather pattern set up over the region, in some areas dropping a year’s worth of rain in a few weeks during May. Flooding was front of mind, not fire, at least until fall. The winter of 2015/2016 wasn’t noteworthy for snow, but storms in April and May ushered in a welcome rush of spring green, and a wet August refreshed the verdure. The next winter was downright dry, but spring snows again mitigated fire danger somewhat, and July and August brought a fair monsoon. I thought about fires, but mostly in the context of how nice it was to not feel like they were right on the doorstep. Smoke from the High Chateau fire fills low terrain on the morning of July 2. Since then, however, the tap of our regional precipitation appears to have been shut off. After five years of relative luxury, our fire weather luck has run out. In the eight months before the 2013 fire season, the year of the Royal Gorge and Black Forest burns, my NWS rain gauge collected 7.33 inches of precipitation. From November 2017 until now, the tally is 4.08. So, yes, fire is front of mind these days. In the space of a few days last week, four fires started close enough to home that their smoke plumes are features on our horizon. One of them, the Spring Creek fire, is closing in on 100,000 acres as I write this: another monster for the record books. The smell of smoke creeps into the house whenever the wind is right. But that’s life. This is the reality of my local environment. Conifer forests evolved with wildfire and if we want to live here—which we do—we have to evolve, too. Climate change exacerbates the conditions favorable to wildfire, and it’s possible I’ll look back wistfully on the five-year stretch between 2013 and 2018, when fire stayed more or less in the background. Meanwhile, we’ll carry on with mitigation efforts around the house and barn: mowing, felling some more trees, cutting brush. I’m shopping for fine-mesh metal screening for our roof vents, and will haul in pea gravel for the planting beds near the house. We’ve reviewed our evacuation plan and I’m writing it up so we have a checklist on hand if fire breaks out nearby and we decide we need to leave. We’ll keep watching for smoke, even as we remind ourselves to enjoy life in our beautiful corner of the Colorado Rockies. Smoke from the Weston Pass fire paints the sunset on July 1. Sunrise on June 14, tinted with smoky haze. In late spring for the last several years, I have nagged myself to remember—and be grateful for—the luxury of going into summer with moisture in the ground. How pleasant those days were. I didn’t have to witness the slow crisping of tender young leaves, didn’t have to stand by as the first flush of spring green faded back to straw: growth suspended not by cold but by dry, pure and simple. I was free to relish the clear air and the crisp-edged sunrises and sunsets. I could forget about red flag warning and enjoy the absence of nervous gossip about who was ordered to evacuate in front of what fire. The break from persistent fire-related anxiety was wonderful. But now it’s all back—the so-crisp-it-shatters grass, the burn bans, the smoke in the air, the nervous checking of both horizo ns and weather forecasts. The hot winds are blowing again, lifting the hackles on the back of my neck. Jangled awake by the sharp scent of smoke drifting in through open windows, I tiptoe through the house at night, scanning the dark horizon outside for orange glow. I stand some chance of falling back to sleep if I reassure the fearful lizard core of my brain that the smoke has been carried across the mountains from someone else’s fire. I’m not thrilled by the return of fire weather, but I’m not surprised, either. Like I said, I knew these days would come. What I had forgotten to remember is that the world does not stop when they do. The grasses that shatter underfoot are biding their time: dormant, not dead. The bluebirds are feeding their young, who erupt in famished shrieks whenever an adult returns to the next box. The mule deer bucks are sprouting velvety knobs on their foreheads, while the does either plod belly-heavy or prance casually away from me, feigning ignorance of fawns secreted somewhere behind them, spotted brown hides invisible in the brown grass. Mice spend the night digging up bean seeds in the garden, coyotes whinny at dawn, Steller’s jays rove through the pine trees by day, yelling, and nighthawks swoop through smoke-hazed air at dusk. The rattlesnakes are nosing into the dusty burrows of ground squirrels. The horses wander in from their far pasture in the heat of the afternoon, staring expectantly at me if I’m working around the barn and garden. They’re hoping for fly spray to quell the plague of horseflies tormenting them—flies that arrive every year at this time, in dry weather or wet. Meanwhile, candles of new growth adorn the ponderosas, whose catkins have already loosed clouds of pollen, coating surfaces—outside and in—with superfine yellow grit. Some of the abundant dust has no doubt found its way to the new cones on the branches’ tips: spiny lilac-colored swellings that look like exotic tropical fruits rendered in miniature. The currants and thimbleberry shrubs have unfurled their leaves and put out flowers. They might settle for producing hard knots of seeds rather than plump pulpy berries, but they’ve got work to do, and they’re doing it. Out in the straw that is the grass right now, the wildflowers are doing their jobs as well, attracting pollinators and admiration with elaborate petals folded out of jewel-toned tissues. The display is modest; the plants’ leaves are small and the flower stems are short, but even more than in an average year, or a rain-abundant one, the flowers knock me back in awe. I crunch through brittle grass, marveling at the business of life carrying on, fire weather be damned.